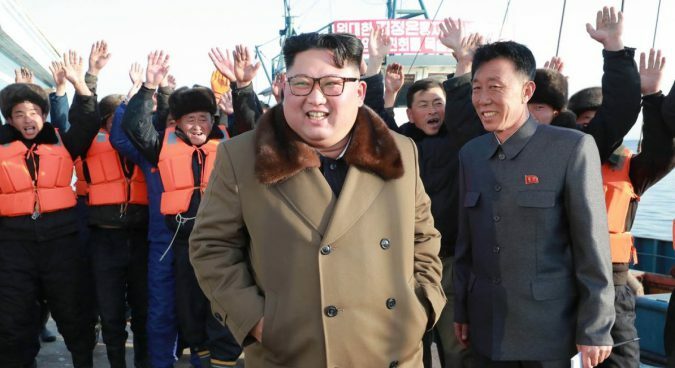 North Korea is using underwater pipelines at its Nampho oil terminal to offload fuels received by sanctioned methods, the UN Panel of Experts (PoE) said in their most recent report. 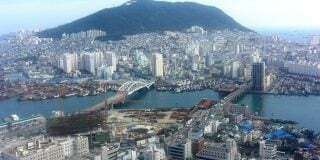 The Panel – which is tasked with monitoring sanctions enforcement – said the port located on the DPRK’s western coast is one of the major hubs for illicit oil and coal trade. 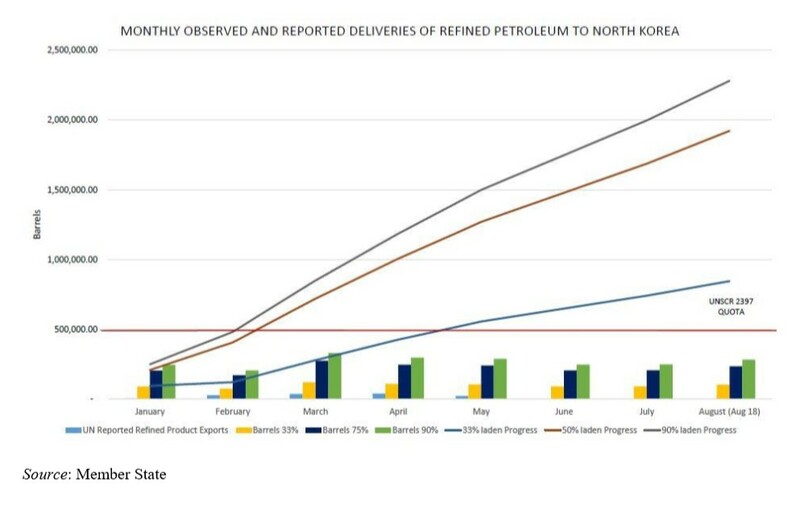 Previous NK Pro reports highlighted how North Korea continued to expand the Nampho oil terminal despite restrictions on oil supplies, with the underwater pipeline seemingly further adding to North Korea’s capacity to transfer oil and fuels. 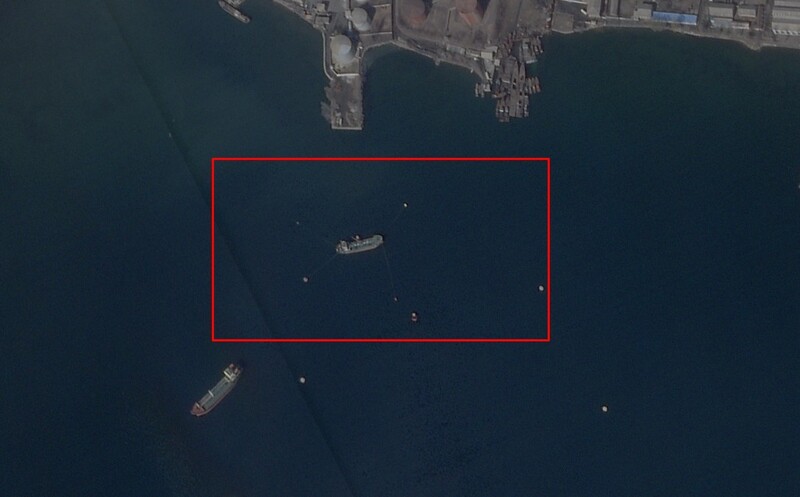 A high-resolution image from Planet Labs’ Sky Sat platform taken on February 26 also shows a vessel moored in the same area highlighted in the PoE report. The image indicates that use of the underwater pipeline continues in February 2019, with the earlier images provided to the PoE capturing tankers in the area throughout the summer months of 2018. 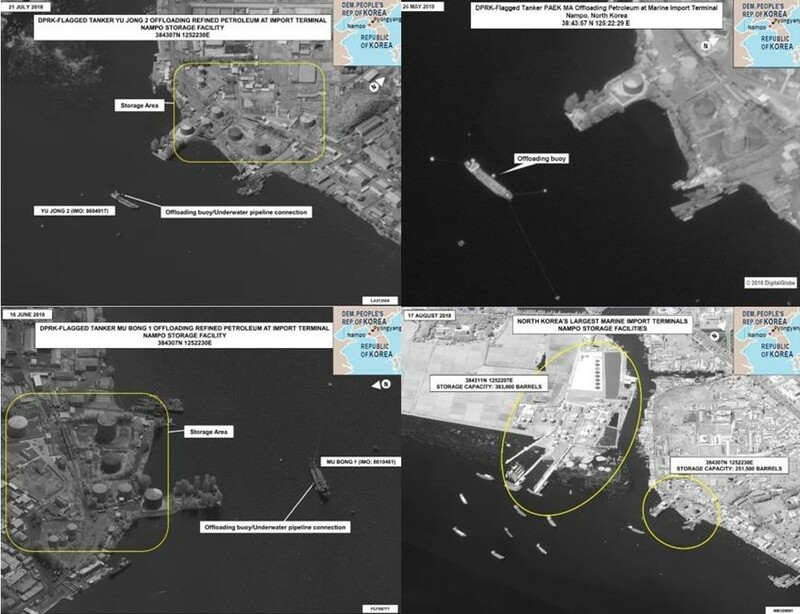 But historical imagery from Google Earth also shows that the mooring area is not a new addition to the Nampho facility, and oil tankers can be seen apparently attached to the offloading buoys as far back as 2013. According to the PoE, the Nampho area is the dropping off point for a vastly expanded, sanctions breaking import system, where North Korean tankers use a variety of illegal means to procure oil supplies at sea. “Ship-to-ship transfers of petroleum products by foreign-flagged vessels using flags of convenience is a primary method of sanctions evasion by the DPRK,” the PoE wrote in the opening section of the 2019 report. 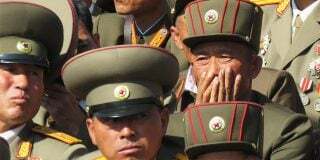 UN resolutions currently restrict – though do not prohibit – refined oil exports to North Korea, placing an annual cap of 500,000 barrels on the trade which applies to all member states. “The United States provided some imagery and provided three scenarios to the Committee which ‘make clear that the DPRK has obtained far more than the 500,000 barrels it is authorized to procure in 2018′” the PoE wrote. The PoE also noted the case of one large oil transfer which highlighted North Korea’s continued efforts to evolve new sanctions evasion methods to counter stricter enforcement practices. “This transfer reveals the most sophisticated case of DPRK related vessel identity fraud to-date …” the PoE wrote. 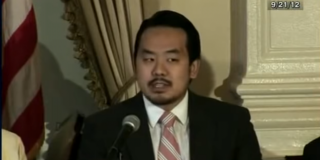 The new techniques also work in conjunction with North Korea’s well-documented evasion practices, which include using offshore networks and vessels registered in foreign jurisdictions, in addition to physical manipulation of vessel data and identifiers. 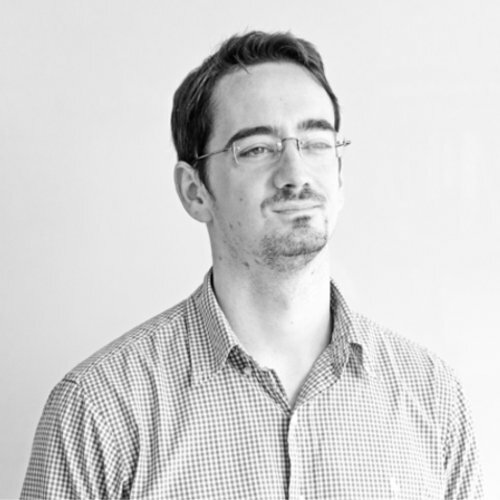 Subscribe to read the remaining 670 words of this article.